Jewellery must be stored separately in a clean and protected compartmentalised jewellery box. To prevent jewellery from getting tangled and scratched, it is recommended to fasten all clasps before storing. Store pearls individually in the soft velvet pouch or box provided to avoid scratching. Keep jewellery away from harsh chemicals and household cleaners (e.g. chlorine bleach). When wearing pearls avoid high temperatures and direct sunlight and avoid dipping them in water as this might loosen the silk thread. As pearls are porous gems avoid letting them come into contact with cosmetics (e.g. perfume and hair spray). Wear your pearls last after you have finished your beauty routine. Pearls should be worn often, leaving them in a safety box for long periods of time can dehydrate them. Please bear in mind that pearl rings are not intended for daily wear as the nacre of the pearl might be damaged. Coloured gemstones and diamonds can be cleaned with lukewarm soapy water and a soft linen free cloth. 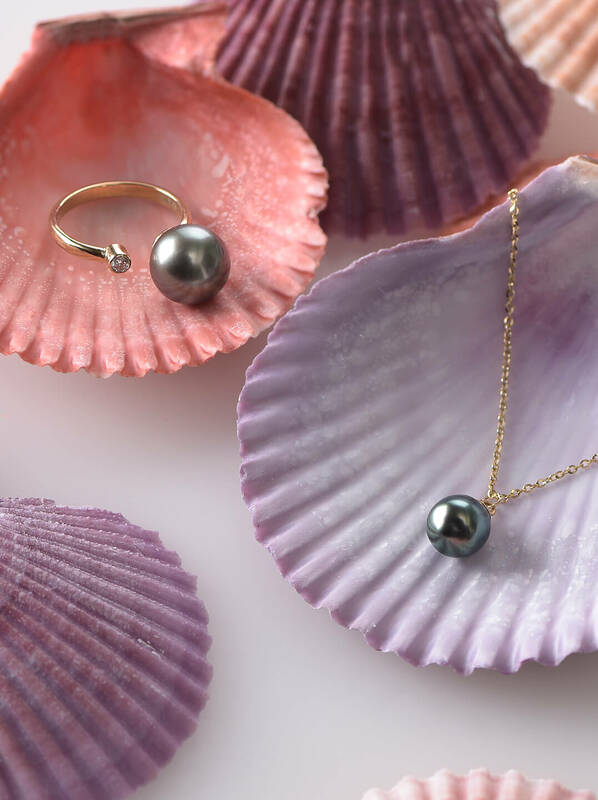 Pearls can be wiped with a soft cloth, the natural oils on your skin will help maintain their lustre and beautiful appearance. Jewellery can be brought in for routine inspection and cleaning once a year. Frequently worn pearls can be brought in to be restrung once a year. Ultrasonic cleaners should be avoided when cleaning pearls. All purchases of Michelle Massoura Fine Jewellery are accompanied by a Certificate of Quality & Authenticity, which guarantees your jewellery against all craftsmanship defects, and a Jewellery Care Guide.